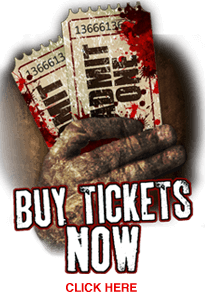 Gates Of Misery Haunted House Attraction Presenting for 2018 two haunts. Once Upon A Nightmare and Carnival of Misery Our 12,000 square foot walk through haunted house is filled with torture, torment, terrifying screams and nightmares your afraid to face in a dark atmosphere filled with live actors, special effects, props and more in an 100 year old 2 story building located in Rome, Georgia, just a short drive to Atlanta, Georgia, Chattanooga, Tennessee and Birmingham, Alabama. BEWARE!! Will you Survive? We went on the last night of their season. We've been to all types of haunted attractions throughout the month of October. Gates of Misery was the best haunt out of them all. We were shock how amazing this place is. It is a small building but it took awhile to walk through. The actors had a lot of energy and scared our group good. We were screaming all the way through. The final guy jump around the wall and started crawling towards us. This freak our group out and we ran back up the stairs. We will be back next year! Awesome Job! Awesome place, awesome people. Very scary they really put alot of dough in thus place and it shows. Love Mr. Tickle and the purge guy outside got my wife good. We are going back again this weekend. Gates of Misery was amazing. It took our group around 30 minutes to walk through. So this is worth the $20. The haunted house was scary and fun. Wish they had more actors. But the actors they did have did a great job. Please check out this place if you haven't already. Heard a lot of good things about Gates of Misery in Rome GA. This place did not disappoint. The actors were amazing. The Little Mermaid sushi room, clever idea. Longer than expected, don't let the size of the building fool you. Outside actors were good as well. Overall, I'll be back next year. Easy to find and worth every penny! Will come again. My family and I love haunted houses. So when Gates of Misery came across as a place to visit we gave it a shot. Oh boy! This place is awesome. They don't rush you out like cattle. They allow you to take your time. This haunted house looks small, but it was huge on the inside. The actors were great, but the clown at the end was the best. We don't scare easy but that clown entertain our group. He was funny and scary. Makeup looked amazing. This is a must do haunt! Holy cow, drove an hour this past weekend to check out this place. Very detail setup, and the actors were good for the most part. But that clown towards the end did it for me. The makeup was detail and very scary. He stayed on us from the moment he scared us until we left the building. Overall, this haunted house was worth the drive. I visit every year and can't wait to see what's up this year! I live in the neighborhood behind it and I have been seeing the workers there for months now, andI just know this year is gonna be over the top crazy!